Morrisons has reported its worst results in eight years - a loss before tax of £792m and an underlying pre-tax profit of £345m, with the loss the consequence of a £1.3bn write-down in the value of its property. The supermarket was announcing its preliminary annual results for the year ending 1 February 2015, with total turnover down 4.9% to £16.8bn, compared to £17.7bn for the 2013/14 financial year. Like-for-like sales were down 5.9%, excluding fuel, compared to a fall of 2.8% in the previous year. Last year, Morrisons reported a pre-tax loss of £238m and pre-tax underlying profit of £719m. Next week Morrisons will be joined by David Potts as its new chief executive. He will replace Dalton Philips and it is hoped his arrival will instigate a turnaround in the ailing fortunes of the retailer. In its report, the supermarket said the roll-out of its local M stores would be "slowed significantly", while 23 M stores would be closed in the year ahead. Andrew Higginson, Morrisons’ chairman, said: "Last year’s trading environment was tough, and we don’t expect any change this year. 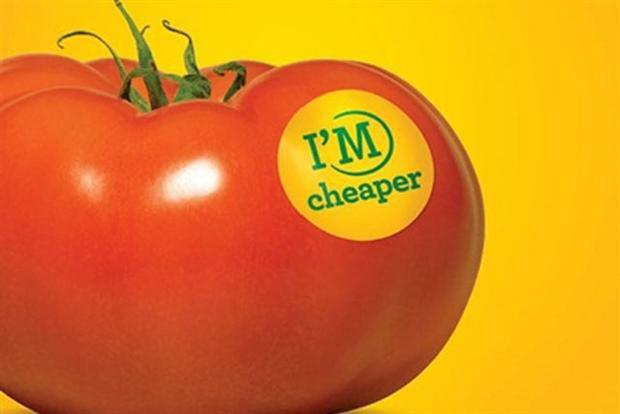 However, Morrisons is a strong, distinctive business – we own most of our supermarkets, have strong cash flow, and are famous with customers for great quality fresh food at low prices. This gives us a good platform. "David Potts joins as chief executive next week. Under his leadership, we will focus on building trading momentum and being more like the Morrisons our customers expect. "We will invest more into the proposition and put customers at the heart of everything we do. We will listen and respond to our customers, and work hard every day to improve the shopping trip." Looking ahead, Morrisons said it would further develop its online model and IT platform, "including sales-based ordering trials". "Success measures will be simple – more customers buying more from us," Higginson said. "More customers means more volume growth which, ultimately, will lead to better like-for- like, profitability and shareholder returns."